You can download the full version of Pray for Death from the download store listed below. 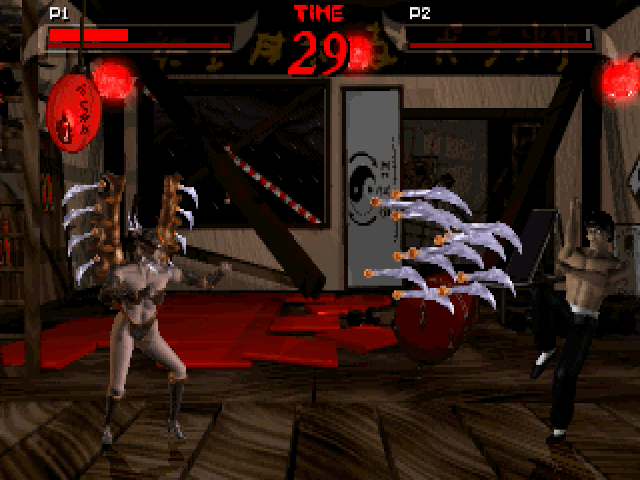 The demo version includes only two of the game's ten playable characters. 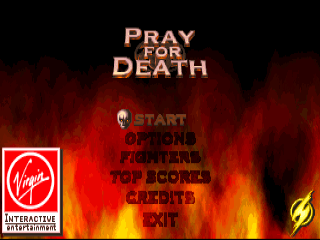 This is a one on one fighting game with much similarity to Mortal Kombat II but with pre-rendered characters instead of digitised actors. The fighter roster in this game mixes mythological beings and characters like a martial artist, a medieval knight and a viking. 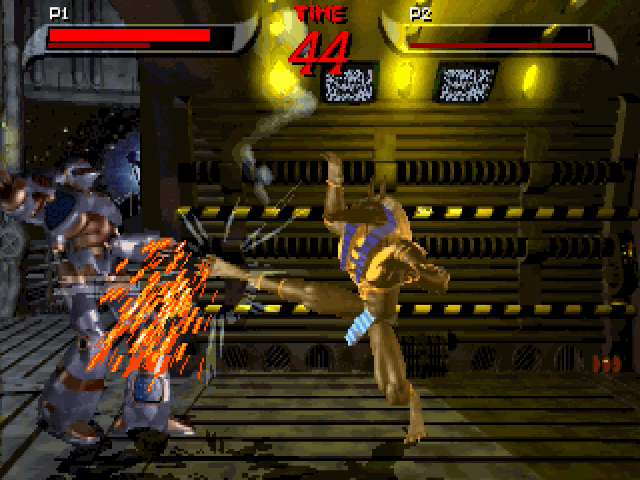 In the story mode, each fight is given some context showing a dialogue between the contenders, reinforcing the idea that there's a plot going forward, unlike many other games in the genre where characters just fight one another.